In the meantime, the current obsession with systemic risk is understandable. After all, we came darn close to experiencing it, with every money-center bank, most secondary banks, and many tertiary banks verging on collapse only a few months ago. That close call handed politicians a gold-plated "opportunity to do things you couldn't do before." One of those things is increasing regulatory oversight of the financial sector. In particular, the Obama Administration would like to give the Federal Reserve the authority to regulate any Tier 1 financial-holding company — a fuzzy category expected to include all commercial and investment banks, though likely to exclude private equity and hedge funds. The president's proposal includes an oversight council, to be chaired by the treasury secretary. This council would give a key role to the Federal Reserve chairman while marshalling the forces of six other discrete agencies, including the SEC, FDIC, CFTC, and Federal Housing Finance Agency. But does it really matter? If history is any guide, and it should be, the new regulatory regime will likely suffer the same fecklessness as previous regimes, because of at least two intractable shortcomings: First, the President's proposed oversight council, despite being pitched as a cohesive unit, is composed of entities representing different constituencies. Therefore, it's automatically larded with representatives of different agendas, each of which will instinctively work against each other to protect his own turf when cooperation is needed most. Second, government regulation simply doesn't work. Nobel Prize winning economist George Stigler, who garnered fame for developing the "Economic Theory of Regulation," better known as the "Theory of Regulatory Capture," postulated 50 years ago that interest groups and political representatives will use the regulatory powers of government to shape laws and regulations to their advantage. It's no coincidence that Treasury Department heads originate from Wall Street. Historian and ardent anticapitalist Gabriel Kolko explicated the phenomenon of capture in his book the Triumph of Conservatism. Kolko was one of the first academics to criticize the Progressive Era — the period of reform that lasted from the 1890s to the 1920s. Kolko's research discovered that free enterprise and competition were vibrant and expanding during the first two decades of the 20th century, until businesses began petitioning government for regulation in order to stem competition. Indeed, the 1913 Federal Reserve Act was the product of a banking reform movement initiated by big banks seeking to insulate themselves from small-bank competition. It's a recipe for disaster when you consider that the regulators are always outmaneuvered. Economist Hyman Minsky, in his "Financial Instability Hypothesis," noted that banks seek profits by financing activity and bankers. Like all entrepreneurs in a capitalist economy, bankers are aware that innovation enables profits; thus, bankers (Minsky uses the word generically for all financial intermediaries) strive to innovate in the assets they acquire and the liabilities they market. It's a mismatch: an entrepreneurial mentality permeates private banking, and a stasis mentality permeates governments. Government employees lack incentives to go above and beyond their job descriptions, because government lacks the carrot of profit and the stick of bankruptcy. The only incentive government responds to is the opportunity to expand its presence into that which is already known; hence, $50 billion is forked over to a shopworn, dilapidated General Motors. The Obama Administration's proposal is already as yesterday as General Motors. Yes, it strengthens firewalls between banks and their affiliates to prevent conflicts of interest; it imposes new risk-retention minimum standards — 5 percent — in the securitization market, and requires institutions to issue standardized contracts; and it strengthens the oversight of clearing and payment-settlement organizations. It also mandates a rapid resolution plan (whatever that means) in case these Tier 1 firms threaten the nation's economic health (but who determines that?). Unfortunately, the next systemic risk will not emerge from Tier 1 financial firms any more than it will emerge from reckless savings and loan lending or overinvestment in dotcom businesses. But that fact fails to temper dreams that it will be otherwise. In a July 26 New York Times op-ed, a popular Princeton economist (hint: not Paul Krugman) closed his eyes real tight and imagined what the world would have been like had the President's systemic-risk regulator existed in 2005. This economist imagined the regulator maintaining a vigilant eye on the growing mound of residential-backed collateralized debt securities. He then imagined this same regulator questioning the legitimacy of all those easily parsed out triple-A bond ratings. This regulator even possessed sufficient wisdom to questioned American International Group's addiction to writing credit default swaps on all those collateralized debt obligations the banks were issuing. Of course, this Princeton economist's omniscient regulator is the antithesis of the real-world heads of the SEC, who also ignored Boston investor Harry Makropoulos — the guy who mailed SEC investigators a 29-page tip sheet, explicating Bernie Madoff's secretive business practices, lack of oversight, and suspiciously high profits. The year 2005 was unremarkable, but steady: in other words, a perfect year for writing as many credit default swaps as the computer could generate. It was also an interregnum from the Dow Jones Industrial Average's 3,000-point upswing over 2003 and 2004 and the additional 3,000-point upswing that occurred over 2006 and 2007. In short, the stock market of 2003 through 2007 was very good to many equity investors, and when times are very good, markets grow very risky (another salient point noted in Minsky's "Financial Instability Hypothesis"). I worry, frankly, that there's a tension here. The more people, in my judgment, exaggerate a threat of safety and soundness, the more people conjure up the possibility of serious financial losses to the Treasury, which I do not see. I think we see entities that are fundamentally sound financially and withstand some of the disaster scenarios. What's a self-interested regulator to do? The answer is easy to fathom, which is why we should jettison our fiat money system in favor of a gold or multicommodity-metal system (such as gold, platinum, silver, and copper). While we're at it, we should jettison fractional-reserve banking in favor of full-reserve banking. 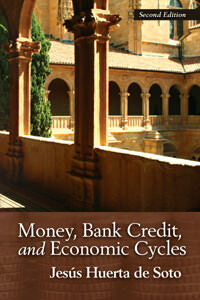 A full-reserve banking system would prevent both overextension of credit and loss of confidence in the financial system. Both actions would remove the financial system from the aegis of a constantly wrong regulatory hegemony and place it under the aegis of a mostly right free market. But if you prefer the status quo and believe President Obama's latest proposal is the preferred option, because it puts all our regulators on the same page, I suggest glancing across the Atlantic to our close kin the British, and their putatively cohesive Financial Services Authority. Then ask yourself this: Did the FSA shield the United Kingdom from systemic risk any better than our current hodgepodge of regulatory agencies shielded us?